The fifth edition of Talaash was successfully completed recently at KLE Institute of Technology, Hubballi. Talaash is all about identifying brilliant technical ideas from the young minds, especially who are passionate about technology and entrepreneurship. KLEIT Lead Cell and Deshpande Foundation organises this event every year to provide an accomplishable platform to the passionate technocrats. The three-day event held on May 3rd, 4th and 5th in which 62 teams were shortlisted out of 126 applicant teams. Teams flocked from different parts of India, includes Maharashtra, Haryana, Telangana, West Bengal, Delhi, Kerala, Tamil Nadu, Utter Pradesh and Karnataka. 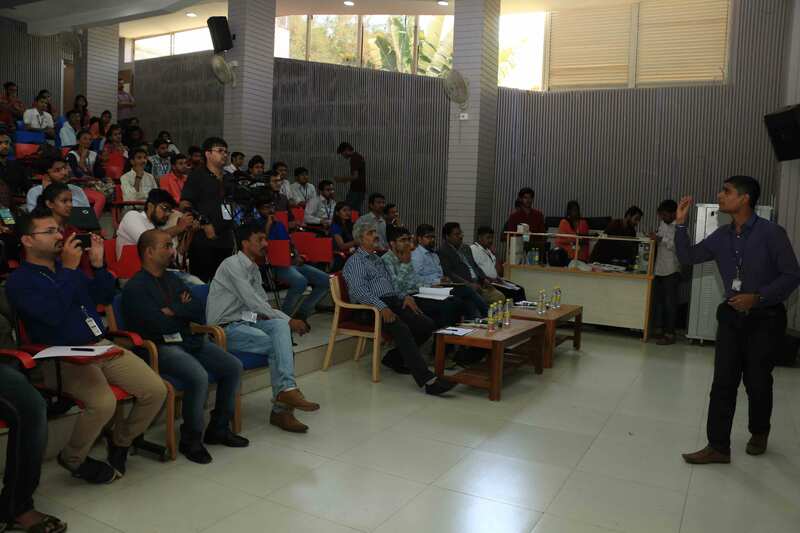 Among various ideas pitched at Talaash, top five ideas were selected by the juries – Mr C M Patil, CEO, Sandbox Startups; Mr Radhakrishna V, General Manager Aequs Aerospace; Mr Rohan Kulkarni, Founder, Fresh Box; Vijay Matti, Founder, Campus Connect; Divesh Sha, Founder LinkEz; Chendrashekar K, M D, Venture Wings Groups; Mr Kshimal, Director, Deshpande Foundation; Dr Dhoolappa, Professor, Shivamogga Veterinary College, Mr R R Burbure, Dean of Academics KLEIT; and Manjunath G, Founder LEAD Talaash. The attention captured ideas are : ‘BioBindi’, an affordable eco-friendly and sustainable transdermal patch to combat Iron Deficiency Anaemia (IDA) in low resource settings: ‘Mudde Making Machine’, ’Grape yard weed remover, Design and Development of ‘Indirect Solar- Electric Dryer for Agro products, ‘Blackma’- makes profit by harvesting pollution. The participants were availed to design thinking workshop, business model canvas workshop, exhibition, the panel discussion on innovation and entrepreneurship, sharing the success stories of lead Talaash past winners and also success stories of the guests too. The winners of the Talaash 2018 will be provided seed funding, mentorship support to start their own ventures.